Serious injury accidents have the ability to undermine your health, your quality of life, your emotional well-being and your financial stability. When another party’s negligence or careless indifference causes you to suffer physical harm and economic hardships, you have the right to file a civil claim for monetary damages. 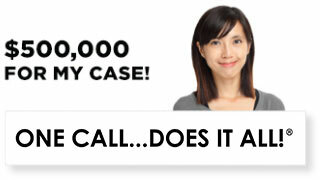 In California, a personal injury lawsuit must be filed within two years of the date of injury. Damages awarded in a personal injury claim are designed to make the plaintiff “whole” again — or at least restore them to a similar condition as if the injury had never occurred. There are several types of damages that may be recovered from at-fault parties, which are designed to compensate victims for physical, emotional and economic losses. Plaintiffs can seek reimbursement for both actual and general damages in personal injury actions arising from preventable harm. Oftentimes, claims are filed after patrons fall on a slippery sidewalk or supermarket floor that had no visible warnings, or following a rear-end collision caused by driver inattention. Procuring fair compensation for injuries, medical costs and other damages requires the talent and determination of a skilled personal injury lawyer who can prove fault and provide hard evidence that documents all losses sustained. Fortunately, California law provides personal injury plaintiffs the chance to recover reparations for the entire spectrum of harm they endured because of a defendant’s negligent actions, whether they were intentional or not. Damages recoverable in California personal injury lawsuits can be broken into two categories: compensatory damages and punitive damages. 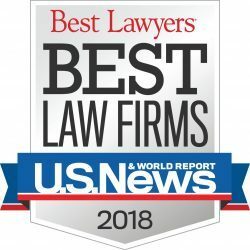 The latter are rarely awarded in personal injury actions, as punitive damages are intended to punish defendants for intentionally wanton, willful or malicious behavior. Focus is instead placed on securing money that reimburses plaintiffs for the financial losses and loss of enjoyment of life caused by the injury. These “special” damages include payment for measurable things such as income loss, loss of future earning capacity, in addition to all hospital and medical expenses including surgeries, medications, physical therapy, nursing care and rehabilitation. In order to maximize payouts for diminished earning potential or anticipated medical costs, your attorney will consult with medical and financial experts to calculate these amounts with precision. Personal injury litigation can also seek damages for non-monetary losses known as “general” damages. These kinds of losses are less tangible and not as easy to quantify and include things like emotional distress, pain and suffering, mental anguish, inconvenience, diminished quality of life and loss of spousal consortium. Mental anguish may describe feelings of anxiety, lost dignity, shock, humiliation, or grief resulting from the injury. In most states, these types of money awards can account for more than half of the total payout, prompting law makers in California to cap non-economic damages. When filing a personal injury lawsuit on your behalf, a skilled attorney will carefully assess all the ways the injury has negatively impacted both you and your family in an effort to recover appropriate monetary damages. 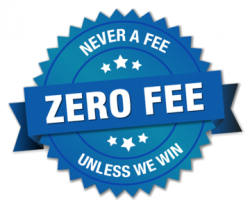 It is no secret that experienced, well-funded practices get better results for their clients, whether negotiating with an insurance company or arguing your case before a jury. 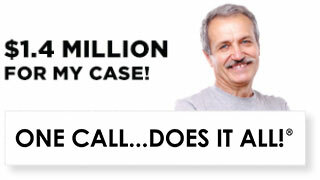 For this reason alone, it is essential to choose a legal advocate with proven results in personal injury cases. Representing residents in the greater Los Angeles area for 25 years, the personal injury attorneys at Ellis Injury Law have the resources and legal acumen to maximize your compensation. 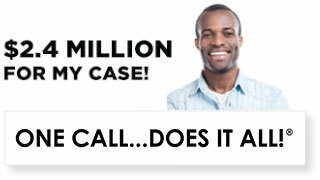 If you’d like to schedule a free case evaluation, please call 310-641-3335. California Legislative Information Code Section, COMPENSATORY RELIEF 3281 – 3360 http://leginfo.legislature.ca.gov/faces/codes_displaySection.xhtml?lawCode=CIV&sectionNum=3333.2.